Click on the following buttons to go directly to the individual pages on this website. © 2010 by the President and Board of Directors of Alpha Kappa Alpha Sorority, Inc.® All rights reserved. No part of this site or the publications described herein may be reproduced, stored in a retrieval system, used in a spreadsheet, or transmitted in any form or by means—electronic, mechanical, photocopying, recording, or otherwise—without the permission of Alpha Kappa Alpha Sorority, Inc. - Communications Department. 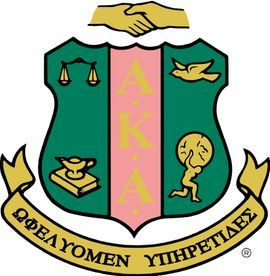 All graphics, photographs, and text of the Alpha Kappa Alpha Sorority Home Page and connected pages displaying the Alpha Kappa Alpha logotype above are copyrighted and/or trademarked by Alpha Kappa Alpha Sorority, Inc. Redistribution or commercial use is prohibited without express written permission. For information regarding usage, see below. Logos and graphics relating to the fraternity are subject to licensing agreements. If you have questions about legal use of these items, contact (773) 660-2001.